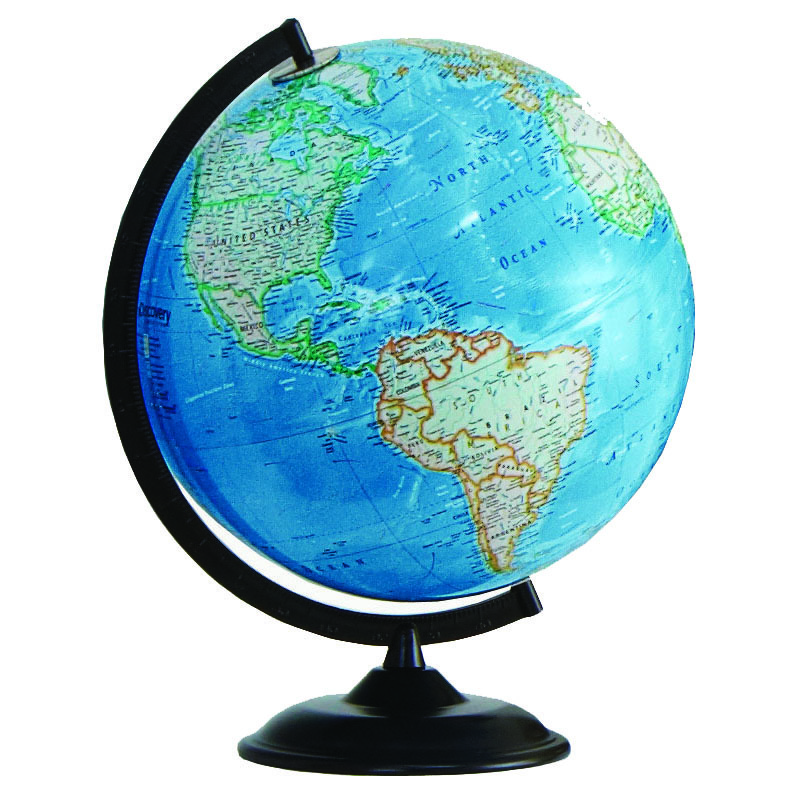 Every Clearfield expedition Discovery globe has a matte black metal base and meridian, and bright blue oceans that make it an attractive piece for any home or office. The overall height is 16 inches and features current cartography, a color and design unique to Discovery, and easy to read names, so planning your next big adventure will be easy. 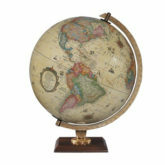 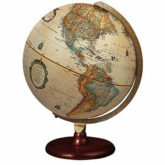 The American made Discovery expedition Clearfield world globe is the perfect gift for the world traveler or globe enthusiast in your life.